The tribunal has now ruled that Fortuna must pay Oliseh who has been suspended at least substantial part of his accumulated salary backlog as compensation. Former Super Eagles coach Sunday Oliseh has revealed that he has been able to prove his case right at the Royal Dutch Football Association (KNVB) tribunal. Oliseh has been vindicated following the discovery that Second Division club Fortuna Sittard were indeed guilty of ‘black money payment’ as claimed. ‘Black money payment’ is an illegal payment for a job done in which tax is not paid to the government and it is punishable in the Netherlands. The tribunal has now ruled that Fortuna Sittard must pay Oliseh who has been suspended at least substantial part of his accumulated salary backlog as compensation. 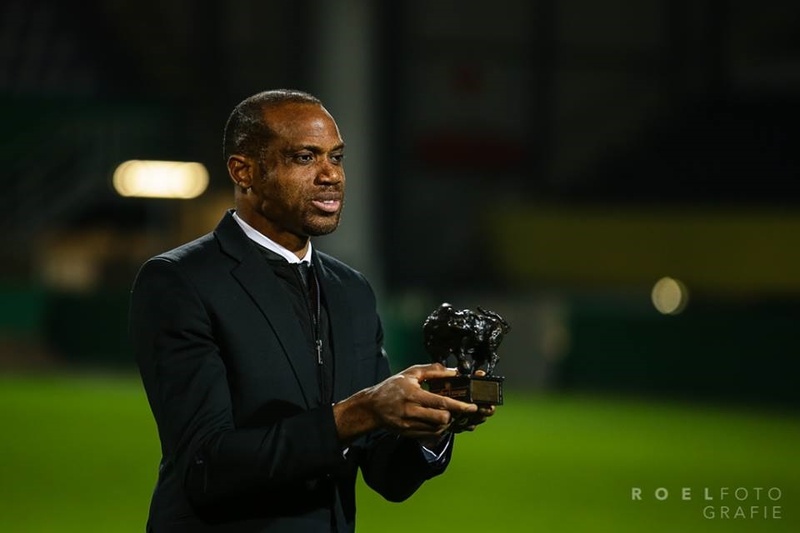 Reports in Dutch outlets confirmed the KNVB verdict and added that the tribunal also ruled that Oliseh is obliged to return to his post as Fortuna Sittard’s manager till the end of May. The former Super Eagles captain and captain also took to Twitter to share the good news. Dutch court finds Fortuna Sittard guilty for not being a good employer to Sunday Oliseh and sanctions Fortuna. Most importantly The Knvb Court stated that Oliseh has not acted as a bad Employee!! Consequentally negating false claims by Fortuna. God is Great! The court further sanctions Fortuna Sittard compensate me (Oliseh) immediately financially . I am obliged to stay as Fortuna Employee till the month of May 2018.Thanks 2 all my well wishers for your valued support all through this injustice.Thankful to God 4 his blessings! it is understood that Oliseh will be getting a substantial sum of money once Fortuna obey the ruling against them.